Fall has proven a season of firsts on Monument Circle this year. The tally of premieres sparked by Big Car over the last couple of months proves too innumerable to count. That’s what happens when you experiment. New territory gets explored. Yet, Big Car is not alone in its inaugural efforts in the heart of Indy. Local ceramic artist Ruth Stoner will bring nearly 70 artists and six musical acts to Fountain Square for the free, family friendly Monument Circle Art Fair. A registered pediatric nurse by trade, Stoner never shook the love for ceramics she found while still in high school in South Bend. After nursing school, she continued to take art classes at everywhere from IUPUI and Herron to Indianapolis Art Center. Stoner continues to work as a nurse around 25 hours per week, while operating a studio out of Broad Ripple called Artistry In Clay. It wasn’t until her kids reached adulthood that she began to consider ways she might give back to a community that has fed her creativity over the years. When Stoner initially decided to pursue the idea of hosting an art fair on the monument, she didn’t realize that Spark would be overlapping. 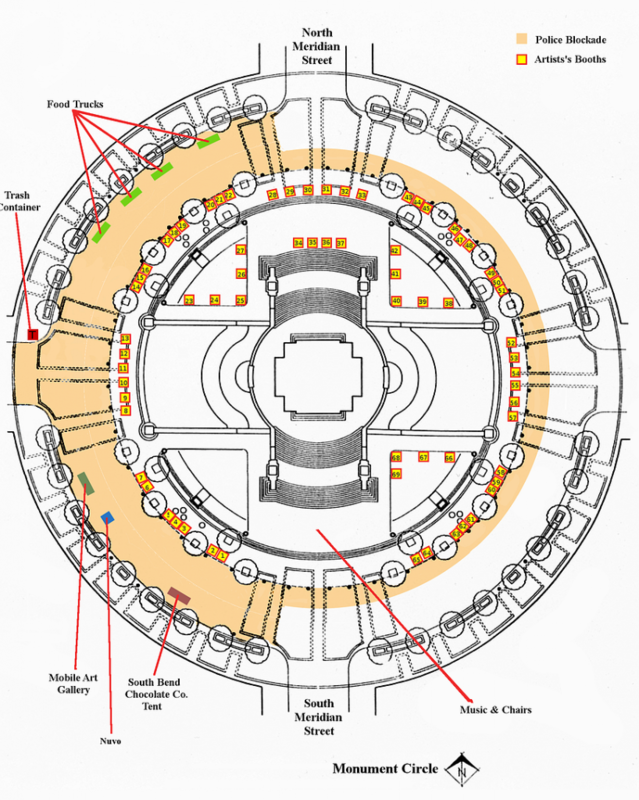 The circle is an interesting space, in that the Monument itself belongs to the state while the surrounding streets and sidewalks belong to the city. This has led to some interesting complementary programming throughout Spark. For part, Stoner is thrilled with the timing. 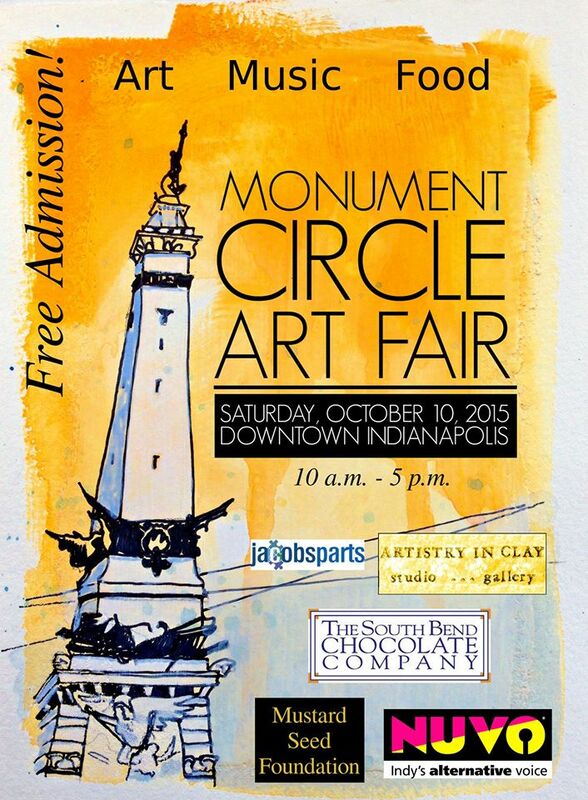 If the event is successful, Stoner hopes to make Monument Circle Art Fair an annual event. With food trucks, live music, a glass blowing truck and Spark as a backdrop, she hopes the event will offer something for everyone. At the end of the day, the artists who participated will measure the success. What: The inaugural Monument Circle Art Fair brings nearly 70 artists and 6 musical acts to Monument Circle for a single day festival in celebration of Hoosier art.